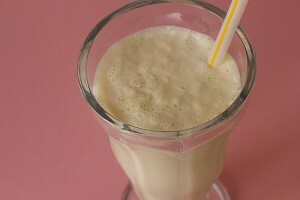 Vanilla Milkshake recipe by Muzna Gohar at PakiRecipes.com. Place the vanilla icecream and vanilla essence into a blender. With the motor running add the milk, until it is thoroughly mixed. Prepare right at the time of serving.